Meeting your prospects for the first time can be very nerve-racking. Although there have been many new solutions introduced to help people dodge the first meetings (Go ToMeeting, Join.me, or WebEx), the face-to-face first meeting remains a must in many business deals. We all know that creating a successful first meeting is as difficult and tricky as the cold calling stage. It may sound easy; however, I have seen many salespeople struggle in the first meetings due to poor preparation. Some sales guys just rush off to the first meetings with over-optimistic hope that prospects will go along with whatever they say. Prospects are not dumb, and not gullible. When prospects ask questions about your products and find that you’re struggling with basic questions, it is a big minus point for you. Before you meet your prospects, make sure to set the objectives of the first meeting. You need to do your homework by getting information about the prospects’ profile before the meeting. Prepare all necessary things that you need to present to your prospects including company profile, brochures or product samples. Also, make a list of insightful questions you need to ask your prospects in order to understand prospects’ situation at deeper levels. Insightful and right questions will make your prospects consider you a helpful source they’re seeking. It’s important to keep your prospects’ attention during first meetings. Some salespeople tend to give long PowerPoint presentation filled with loads of information about their companies and products. And it's one of the common mistakes to lose audience. The tip is cutting the fat. In the first meetings, prospects already know basic information about you, and they want to know about your offering, not your company. Another tip to keep your prospects’ attention is avoiding using high-tech gadgets. It’s important to get your prospects maintain eye contact with you as much as possible. The gadgets will easily get your prospects take their eyes off you. Alfred Longtin, ChFC and CEO of ab Resources in Frankfort advised that when you need to share information with prospects, it's best to provide them with sheets of paper instead. 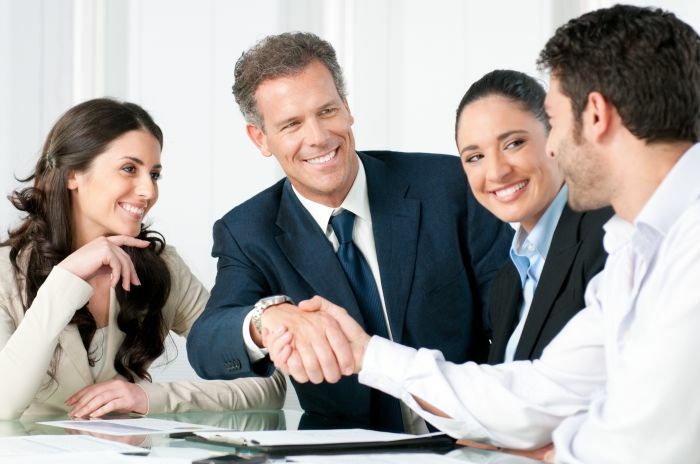 In that way, your prospects can maintain eye contacts with you while they hold papers in their hands. Sometimes it's not a good idea to make your prospect look at you over a laptop, which is filled with a lot of distractions. The old-fashioned way has its own charm! One of the mistakes that many salespeople usually make is that they are too aggressive in the first meetings. Being pushy will make your prospects more cautious about the business. Some salespeople create bad impressions that they care about making money for themselves more than helping potential clients make more profits. If you care, show it – that’s what the sales gurus will always tell you. Focus on your prospects by steering questions about your prospects’ situations and keep listening to your sharing. That’s how you show your care. No matter how many years you have worked in the industry, you don’t know everything, and it’s fine to admit that. If you can’t get a thorough answer for some difficult questions from your prospects, bluffing is the worst solution. Why? Your prospects may want to test your candor by asking things they are already knowledgeable about. Just be honest that you need time to check before giving a good answer. And don’t forget to provide solutions for these questions during your follow-up. This will show your honesty, and care about prospects. Don’t forget to close the first meeting with your suggestions for your follow-up. It’s much easier to set up the next action right at the end of the first meeting when prospects are still interested in you.